Is Friendly Relation mostly gone out of your relationship? There are always good reasons for this. Lawrence, I understand what a challenging situation this is for you. Under your anger, hurt and frustration, you are likely feeling some heartbreak, loneliness and helplessness over your wife. These are very hard feelings to feel. The first thing I suggest is that you open your heart to kindness and compassion for your own painful feelings. It’s very important for you to feel these difficult feelings with caring toward yourself, so you can let them move through you. While menopause, childhood abuse issues and the pressures of life can certainly contribute to your wife not wanting Friendly Relation, there are likely other issues regarding your relationship that are the actual causes of her not wanting Friendly Relation. Generally, when partners are able to share love and Friendly Relation emotionally, this extends to the Friendly relationship. So I suggest you look at what is going on between you and your wife that is causing her to no longer want Friendly Relation with you. You might want to start with looking at your own anger, frustration and hurt. 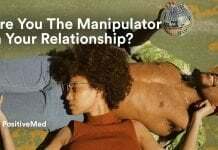 These feelings indicate that your intent may be to control her rather than truly learn about what is going on between you that is causing the problem. 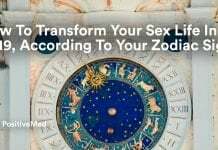 She might be telling you that the problem is menopause, childhood abuse and the pressures of life because she might be afraid to tell you the real reason – which may be that she feels emotionally disconnected from you. Anger and frustration are the opposite of caring and kindness, and indicate that you want control over having Friendly Relation with her, rather than being open to learning about what she is actually feeling and why. Are you making her responsible for your good feelings about yourself? Does she have to have Friendly Relation with you for you to feel that you are okay? If this is the case, then she might be feeling pulled on to make you feel that you are okay, and this pull, which indicates neediness, is not a turn on for most women. Your question indicates that you are completely focused on yourself and your own needs and not at all interested in what is really going on between you, and that you feel judgmental toward her. She is likely picking up your judgmental energy, and Friendly Relation doesn’t flow well when there is judgment rather than caring and kindness. I suggest you reframe your question. Instead of asking how to deal with your anger, frustration and hurt, the questions needs to be, “What can I do to understand what is going on between my wife and I that leads her to no longer want to have Friendly Relation with me?” The answer to this question is for you to move into a true desire to learn rather than to control. By genuinely opening your heart to learning, you open the door to deeper communication with your wife. You might be surprised about what you learn about yourself and about her. Learning about yourselves and each other creates the emotional Friendly Relation that allows Friendly Relation energy to flow. Margaret Paul, Ph.D. is a best-selling author, relationship expert & Inner Bonding® facilitator. She has counseled individuals & couples since 1968. She is the author/co-author of eight books, including the internationally best-selling Do I Have To Give Up Me To Be Loved By You?, Healing Your Aloneness, Inner Bonding, and Do I Have To Give Up Me To Be Loved By God? 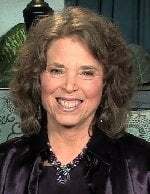 She is the co-creator of the powerful Inner Bonding® healing process, recommended by actress Lindsay Wagner and singer Alanis Morissette, and featured on Oprah, as well as on the unique and popular website Inner Bonding & of the transformational self-healing/conflict resolution software program, SelfQuest®. Click here for a FREE Inner Bonding course. 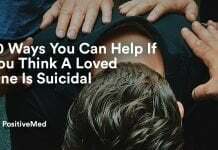 Next articleIs Unconditional Love Realistic?